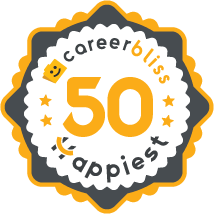 On average, employees at URS give their company a 4.0 rating out of 5.0 - which is 5% higher than the average rating for all companies on CareerBliss. The happiest URS employees are Senior Project Managers submitting an average rating of 4.9 and Equipment Services Project Managers with a rating of 4.8. "Working in Iraq for four years has been a life-changing experience, and one that I will always treasure. URS/LSI treated me like a professional and allowed me to contribute to a fantastic group of people in a harsh and dangerous (yet fun and invigorating) environment." "Outstanding co-workers. Excellent and challenging work. Overall, a great company to work for." "I have worked for URS/AECOM for over a year and have advanced to a lead supervisor in less than a year. A positive work ethic, attitude, and education can allow you to go far in this company." "Being a contractor has its pluses and minuses. I have been doing this a number of years and the companies I have worked for have been bought out a few times now. If you're single and have no family to worry about it's a very good job. If you have a family and the uncertainty every renewal of your contract gets unnerving after awhile. URS is a good company to work for. No major complaints here." "I've been with URS since June of 2013. They hire and fire with the work flow. Makes it tough to sell work when I am not sure what resources I will have day in and out." "I've been with URS for two years. My compensation is better than most for comparable employment. I have recommended several others who now work for this company. I have found the management to be very supportive." "Great place to work. I have enjoyed working with my co-workers and learned a lot. It's a great job." "Great people. I got along with everyone." "I've worked with URS for a bit more than a year. My supervisor is ok, and I get along with my coworkers, but the work environment at the contract site is terrible, and the situation with leave is bad. I hate that I have to take vacation time, or lose pay if I'm sick." "This company has the most outdated and antiquated technology for a $12 billion entity. Upper management is good and the boots on the ground are GREAT! The layer that weighs down even the most mundane actions or process is middle management, which is riddled with in-fighting, back biting, gossip and self interests." "URS has treated me well overall. The people that I work with are top notch and willing to help out any way that they can. It is hard to advance with the company, however because certain skillsets are hard to find, it is not easy transfer to another opening." "URS is an outstanding firm to work for. Even though it is a global company the interaction between all levels of management and employees is exemplary." "I've worked with URS for 23 years. Job is currently coming to an end and there is very little opportunity to stay with company without re-locating. Have worked with corporate on integrations and proposals." "URS has been a great company for me and provides plenty of opportunities for those that work hard." "Worked for URS for 6 months. Very pleased."